The fairytale ended at the eighth hole as Tiger Woods, with two double bogies over the final three holes, returned to competitive golf with a mixed bag to be placed 17th in an 18-man field after the first round of Hero World Challenge in Nassau. The American former world number one hit a one-over-par 73 on his return from a 15-month layoff after recovering from two back surgeries. The 40-year-old Woods showed glimpses of his old self as he had a run of birdies to begin with, and was even briefly tied for the lead. The 14-time Major winner and 79 PGA Tour titles had four birdies in eight holes. However, a bogey on the ninth after a wayward drive cut short the run. At the end of the first day of this unofficial PGA event at the Albany Golf Club, Woods was nine shots off the pace set by fellow American J B Holmes. Woods was tied with Holmes, Louis Oosthuizen and Matt Kuchar after making his third successive birdie. 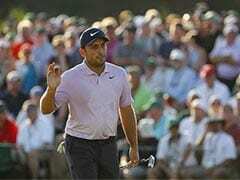 After a bad outing on the ninth, Woods added another bogey on the 11th and while he made up for that with a birdie on the 15th, two more late bogies followed to ruin an otherwise day at the course designed by four-time Major winner Ernie Els. Nonetheless, for someone who was at one stage not able to get up on his own from the bed owing to a bad back, it was a pretty impressive opening. Though he hit the ball into the bushes and pulled his tee shot into the water, Woods looked upbeat as he assembled later for a chat with the global media. "Well, think about it, I hit the ball in three bushes and a water ball today. It could have been something really good. I got off to a nice solid start and made a few mistakes there. I didn't play the par 5s very well in the middle part of the round and consequently got it going the wrong way," Woods said at the end of the day. Woods, who will turn 41 next month, played his last competitive round in August last year at the Wyndham Championship. "There were some awkward shots, there's no doubt about it. This golf course, if you're driving it great here, you can take advantage of this golf course, you can tear it apart. But if you're not, you get up in some bushes and some rods, you can go sideways. But all in all, I feel pretty good. I'm looking forward to another three more days." He added, "I think how quickly I fell into the competitive mode and I felt the feel of the round. By the time I hit the second, my tee shot on the second hole, I had already gotten into the flow of the round. That's something that for me when I've taken layoffs and taken breaks, it's quickly can I find the feel of the round. It's good to be able to play in, what, 15, 16 months and get it on the second hole is nice." Promising to "clean up" his mistakes, Woods was pleased to get that adrenaline rush he so missed in recent times. "Oh, I did. There's no doubt I felt it. It was nice. It felt good to have that adrenaline surging through the system again. It's been a long time. To get up there on that first hole and feel it again and then dumb it down to be able to control it and get into my feel where I play my best, that was nice. I got it pretty quick. 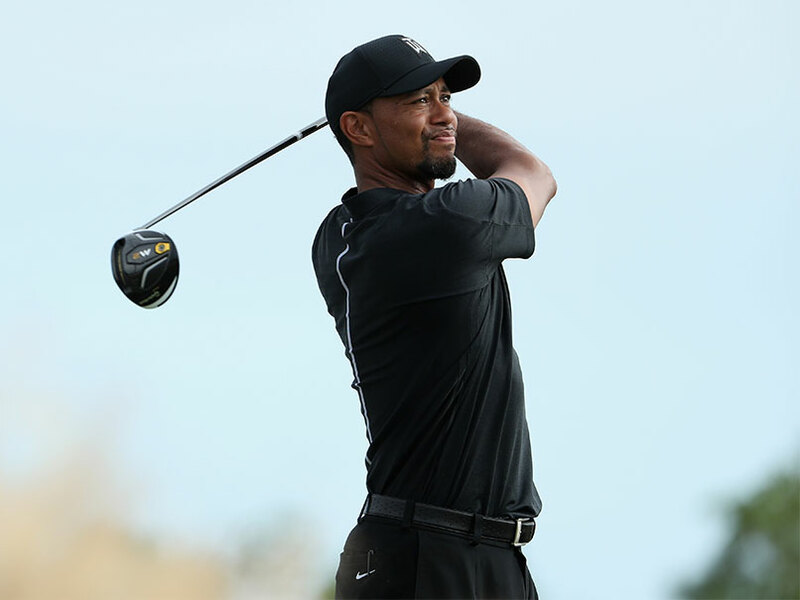 "By the time I got to, as I said, the second or third hole I was already in it," said Woods. Holmes led the event after an eight-under-par 64 that featured seven birdies and an eagle. Japan's Hideki Matsuyama was a shot further back on seven under, with US Open winner Dustin Johnson on six under.